VANCOUVER — During a meeting of the Board of County Councilors on Tuesday, members of the board voted unanimously to approve changes to Clark County code regarding veterans’ assistance. Two changes were requested by the Veterans Advisory Board. The first change brings Clark County code into alignment with federal policy under the Veterans Choice Act. Under previous county code, no veteran could receive veterans’ assistance from the county unless they have lived in Washington for at least one year. The vote adds a section to county code that allows the Clark County Veterans Assistance Fund to waive the existing residency requirement for veterans who are qualified under the federal Veterans Choice Act. According to Samantha Whitley, program coordinator for community housing and development, some veterans in Clark County receiving benefits from the U.S. Department of Veterans Affairs were considered Washington residents federally, but not under county code. The changes will allow these veterans to be eligible for assistance from the county’s Veterans Assistance Fund, Whitley said. The approved code changes allow the county to waive the eligibility requirement if the applicant is “currently domiciled in Clark County,” has enrolled in an in-state college or university within three years of being discharged from active duty lasting 90 days or more, and uses GI bill benefits to attend higher education. According to Whitley, the proposed changes also included an allowance that would allow veterans with certified service animals to purchase pet food for the animals under the food assistance portion of the county code. 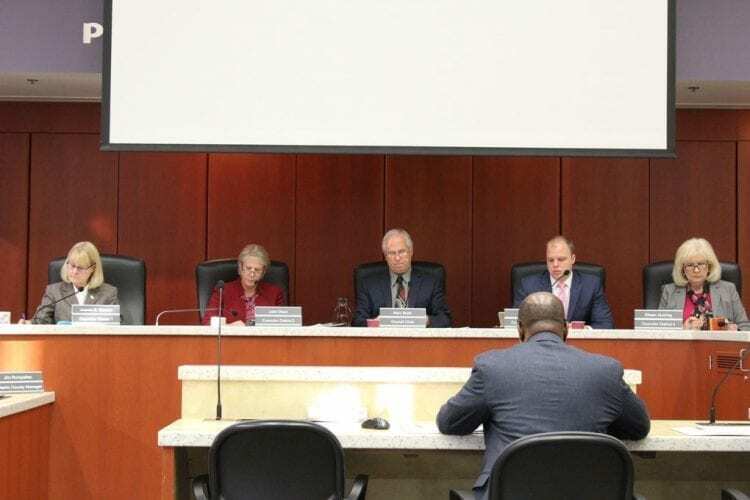 A staff report presented to members of the county council noted that relatively few veterans would be affected by the residency qualification changes. The Department of Community Services reached out to both Washington State University Vancouver and Clark College officials who determined that approximately 50 veterans per year attended the institutions under the Veterans Choice Act. Not all of the 50 veterans will qualify for the county’s Veterans Assistance Fund based on income requirements. In public testimony, Marine and disabled Vietnam combat veteran Terry Allen said “I strongly support approval” of the revisions. He said that not only would the education changes be beneficial, but that the allowance for pet food could be a great help for veterans who rely on service animals. Allen’s wife Milada Allen also testified in favor of the changes. Before the vote, Council Member Julie Olson voiced approval of the changes. “It’s an honor to be able to do these things” to help local veterans, Olson said. Council Member Jeanne Stewart also gave her support for the changes.